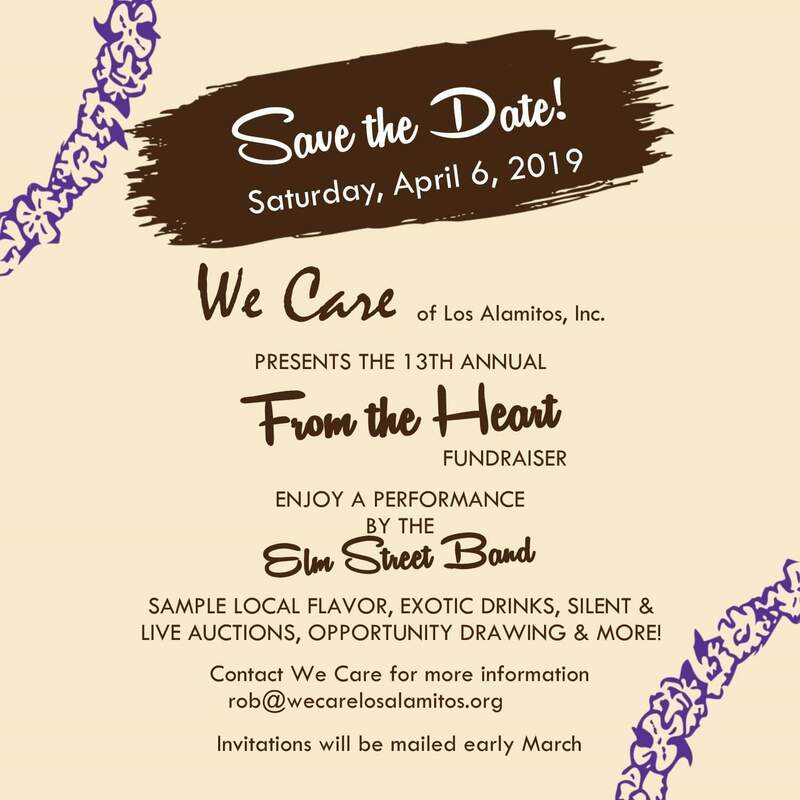 Hula on Over and Join We Care’s 13th annual From the Heart Fundraiser on Saturday April 6th at 6 pm. For the first time ever, the Elm Street Band will be performing as you sample Local Flavor, Exotic Drinks, Silent & Live Auctions, Opportunity Drawing and more. Casual attire, rain or shine. Must be 21 & older to attend. Plenty of parking off of Humbolt Street.